A unique product for broadcasters around the world. 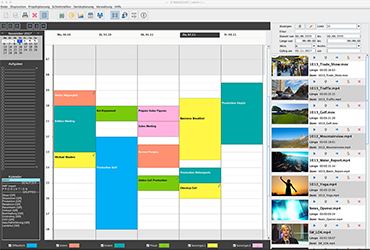 The first all-in-one suite to cover your whole workflows. 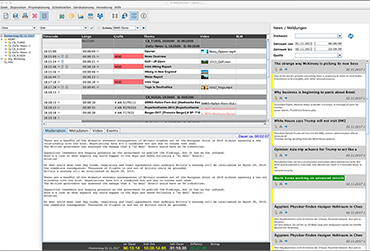 Scheduling, Archive, Traffic, Billing, Newsroom, Control Room Automation, Asset Management, Data Flow, Reporting and Interfaces - all in a single piece of software. Designed from broadcasters - for broadcasters. Using state-of-the-art technologies. Interfacing with almost everything. Multi-User, Multi-Platform, Multi-Channel rundown management. 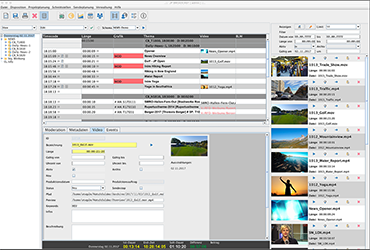 Including auto-fill options, repeat blocks and transfer to playout infrastructure (video, graphic, web). Commercial planning, accounting and invoicing as well as CRM functionalities will help your station to make money fast and easy. 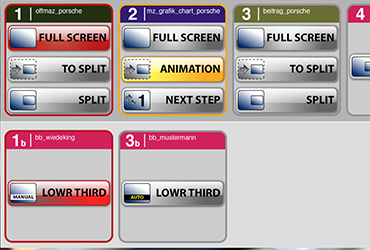 check the latest news, plan and schedule them, work on texts, videos, graphics within one simple UI. Connect everything to your studio and live infrastructure. Done. Unique in the World. Touch any information of JP-Broadcast to play it directly live on air. Freeflow controls video and audio switchers, prompters and most other equipment. manage your content for web, VOD, live or scheduled programs. 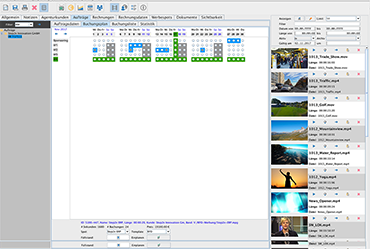 Different distribution ways, transcoding included and a customized workflow for your station. Keep things simple. 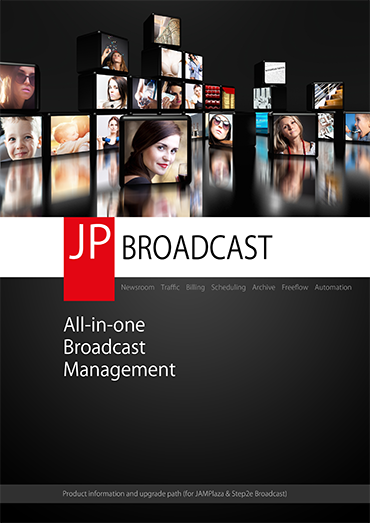 As any information of your station is within one software, JP-Broadcast provides unseen details and statistics about what and how it happens. Internationally awarded several times for innovative products, technologies and frameworks! Many successful broadcast projects over the last 15 years worldwide! German finalist in the category of 'innovative products' for a artificial intelligence based on neuronal networks - similar to what Apple released as Siri years later. 2nd winner of a nation wide startup challenge - for a business based on new and creative ideas. Awarded for an application framework that was way beyond the state of the art - comparable years later to spring, hibernate and EJB. Whenever you visit our Website or other parts of our Internet presentation you accept these. If you do not accept this Disclaimer, do not use this Website or download materials from this Site. 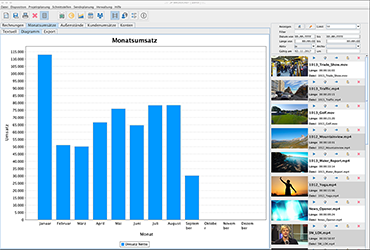 All content included on this Site, such as text, graphics, logos, images, audio clips, button icons, digital downloads, software and data compilations, is the property of Step2e Innovation GmbH. All software used on this Site is the property of Step2e or its software suppliers or providers and is protected by copyright laws as well. Step2e Innovation GmbH grants you a limited licence to access and make personal use of this Site and not to download (other than page caching) or modify it, or any portion of it. This Site is provided by Step2e Innovation GmbH on an “as is” and “as available” basis. Step2e makes no representations or warranties of any kind, express or implied, as to the operation of this Site or the information, content, materials, or products included on this Site. You expressly agree that your use of this Site is at your sole risks. To the full extent permissible by applicable law, Step2e disclaims all warranties, express or implied, including, but not limited to, implied warranties of merchantability and fitness for a particular purpose. Step2e does not warrant that this Site, its servers, or emails sent from Step2e are free of viruses or other harmful components. Step2e will not be liable for any damages of any kind arising from the use of this Site, including, but not limited to direct, indirect, incidental, punitive and consequential damages. This disclaimer does not apply in case Step2e has acted on purpose or gross negligently. In case any applicable law does not allow such limitation on implied warranties or the exclusion of limitation of certain damages, you may, if such law applies to you, not be subject to all of the above disclaimers, exclusions or limitations. By visiting our internet presentation you agree that the laws of Germany, without reference to the principals of conflict of laws, will govern these conditions of use and any dispute of any sort that might arise between you and Step2e. 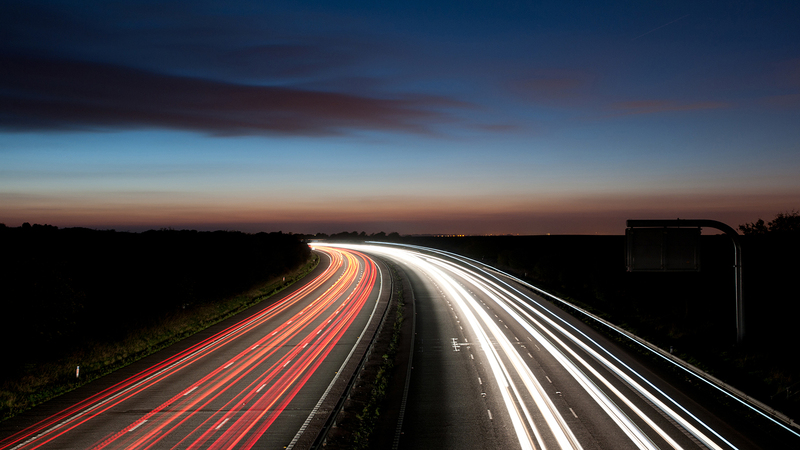 We reserve the right to stop, alter, amend or modify our Website in total or partially. We also reserve the right to make changes to our products, Site policies, Terms and Conditions of Use as well as this Disclaimer at any time. Information provided by you: We receive and store any information you forward to us via our Web Site or give to us in any other way. You are free not to provide any information we ask for, but you should bear in mind that without specific information you might not be able to use our services. We will use the information provided to us for purposes such as servicing your orders, responding to your requests, improving our services and communicating with you. Email communication: We store all email addresses provided to us for our own services and use them to provide information to you. If you wish not to obtain future information from us please contact us at sw@step2e.de. Automatically generated information: When getting in touch with us, we may obtain and store some information. Among such data are cookies and other information from your web browser. We may also use other tools to analyse or identify visitors to our Web Site.